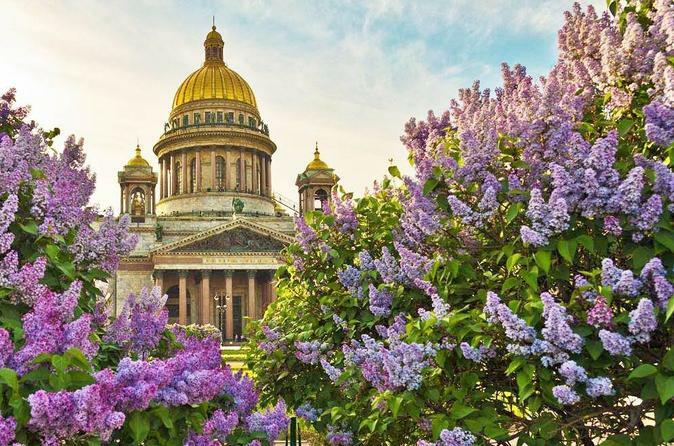 Get a great overview of St Petersburg on a 3-hour private walking tour, and marvel at the city’s highlights. Stroll around the sights with an informative personal guide, and hear stories about the city, its past and people. Walk along the Nevsky Prospekt and admire the Field of Mars, Winter Palace and other iconic sites. Learn about the city’s history as you view St Isaac’s Cathedral and the Church of our Savior on Spilled Blood, and if you wish, visit one or both (own expense) to witness their gilded interiors. Meet your guide at the hotel.